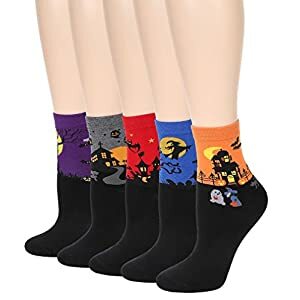 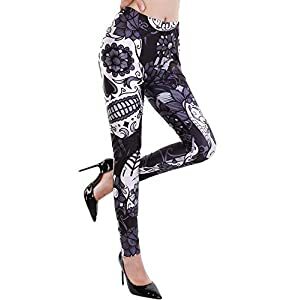 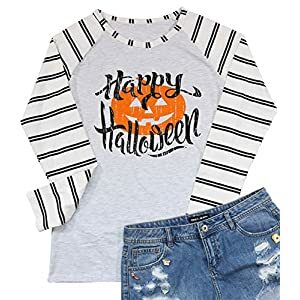 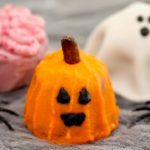 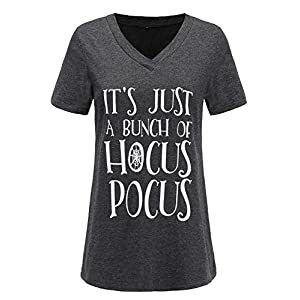 Pull On closure Material: 65% POLYESTER & 35% COTTON Great elasticity, skin-touch, breathable, light-weight, soft and comfortable, side two pockets, cute and fashion muti-halloween prints create a strong Halloween atmosphere. 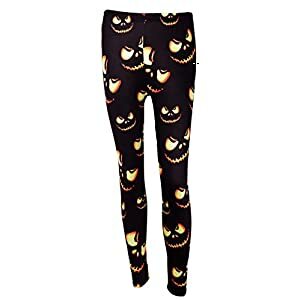 ❤【Size】--Our size is different from amazon's. 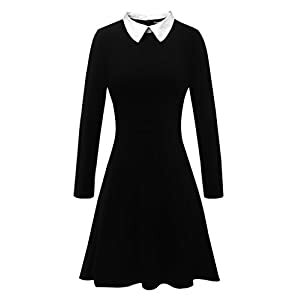 Please kindly refer to the size chart showed in the image. 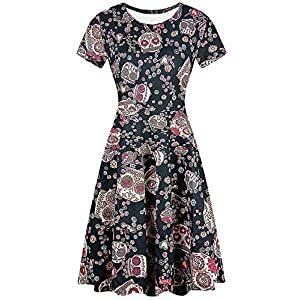 ❤【Material】--Soft fabric, breathable, skin-touch,makes you comfortable ❤【Feature】--Cold shoulder,backless,50s vintage A-line silhouette,short Sleeve,knee length,sweetheart neck. 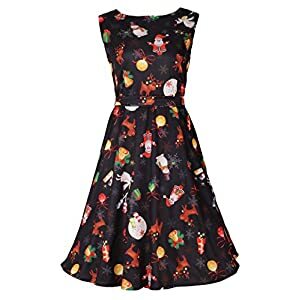 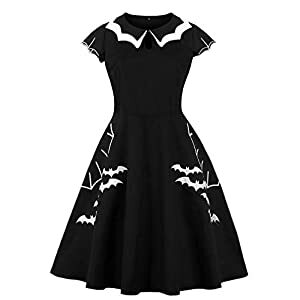 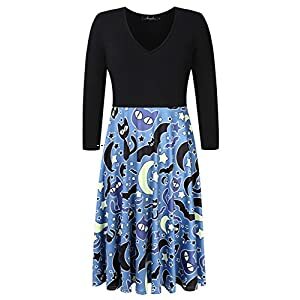 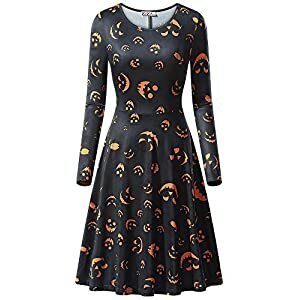 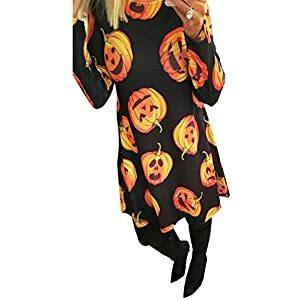 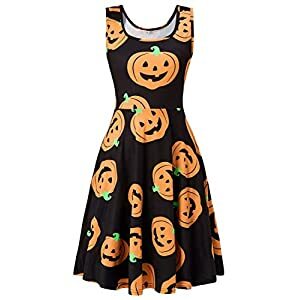 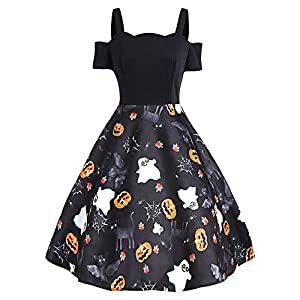 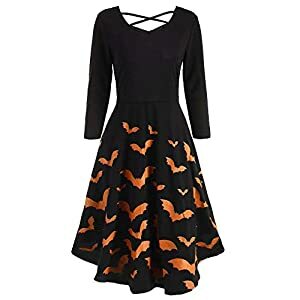 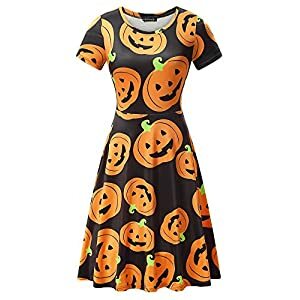 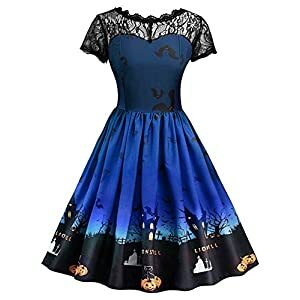 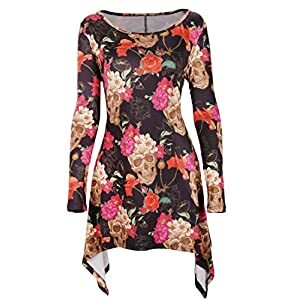 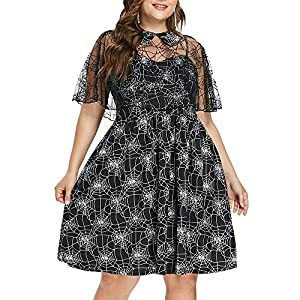 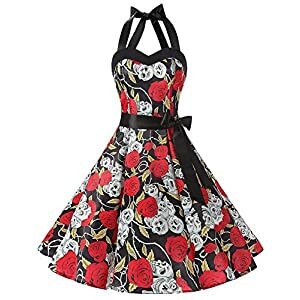 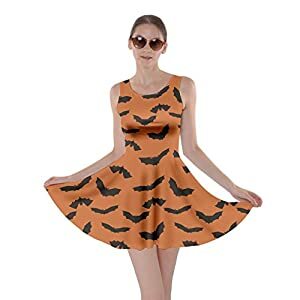 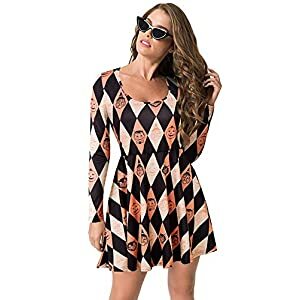 Material: 60% Polyester+35% Rayon+5% Spandex, Comfortable and Stretchy, Breathable Halloween Party Dress--3/4 sleeve, front and back crisscross, fashionm Halloween bat printed, knee length, fit and flared Fashion costume dress for Halloween Party--Perfect for the Holloween Party, Also suit for casual daily wear.